Kalopsia is based in Leith, Edinburgh's creative quarter; located on the Firth of Forth, in the North of the city. Leith was for many centuries Scotland's premier port and was once a key area for manufacturing and ship building. Over the past decade Leith has come a unique area for creative and tech businesses in the city. Kalopsia has been involved in this development for many years and hopes that through sustainable development, they can re-establish Leith as a Manufacturing centre by bridging the gap between creative business and manufacturing. Kalopsia's has constructed a design and sustainability led factory which focuses on effective processing and the wellbeing of their staff. From this space, they manufacture products for clients from around the UK and Europe. Kalopsia manufactures everything in-house in their factory in Leith. This traditional factory set-up allows them to have complete control over everything they put out. What sets the Kalopsia facility apart for other factories is their dedication to lean manufacturing practices. 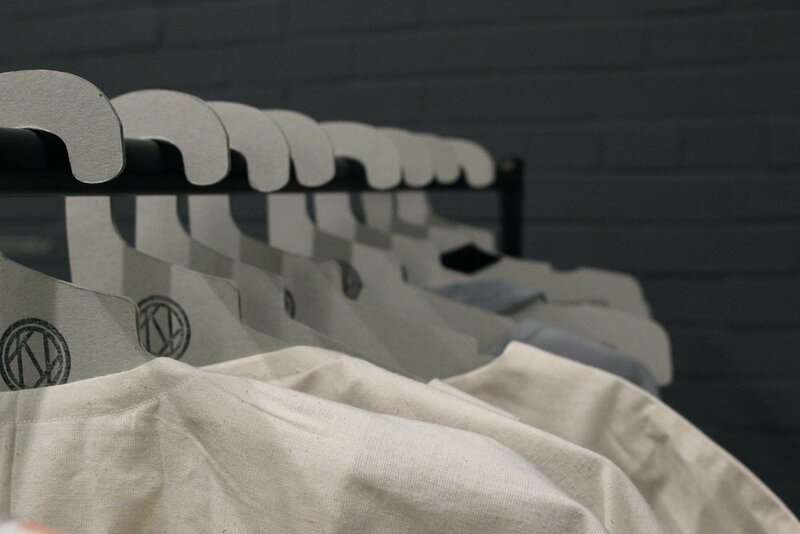 Kalopsia has developed systematic methods for minimising waste whilst increasing manufacturing efficiency. The space is a constantly evolving, with the whole team engaged with it’s development. By creating controllable margins for quality and innovation Kalopsia is able to create a seamless, productive system that optimising the team's efforts.